Merlin Rockets are a “Development Class” of dinghy, which means a considerable degree of latitude is allowed in design, within certain broad parameters. In the case of the Merlin Rocket these parameters have allowed a particularly wide range of designs. A number of designs, designers, and builders have proved especially successful, while others have fallen by the wayside. Although not the single most successful builder, Jon Turner is certainly up there with the best. For some years he worked building the boats with Rowsell Brothers of Exmouth, who dominated the class in the 1970s. Feeling unable to progress further with Rowsells, Turner decided to go solo and purchased a house with a shed suitable for building dinghies close to Exeter. 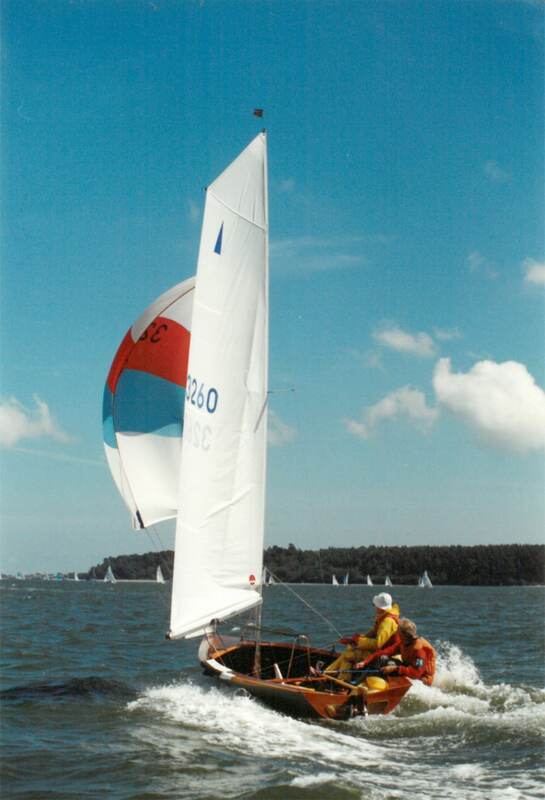 The Feet was his first boat as a builder in his own right, built in 1980 for Andy Street, who went on to win the National Championships in the boat in 1981. 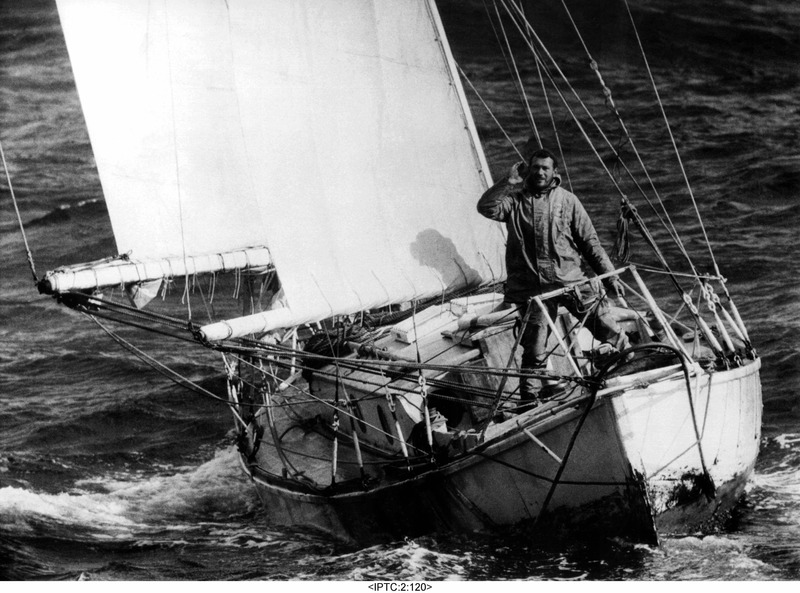 As well as building successful boats – Turner-built boats won four championships in succession in the early 1980s – Jon Turner was also a successful helmsman, winning the Nationals in 1983, though he was no stranger to success in the class, having earlier been highly successful as crew to one of the Rowsell brothers. The Feet is a wooden boat, of glued ply with mahogany and sycamore, and was built at a time when GRP boats were becoming much more common in the class. She represents a good example of the craftsmanship for which Turner boats were renowned. She was owned from 1985 by one owner till her donation by him to the museum in 2016.